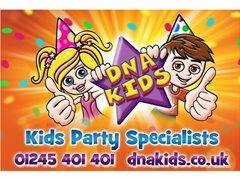 Love Your Job – Join DNA Kids Party Entertainers! Whether you are looking for an exciting new career or a well paid part-time or weekend job, we think we have the perfect job for you. Being a DNA Kids Children’s Entertainer doesn’t feel like work, after all we pay you £47.50 - £77.50ph to party for a living! •	A varied, fun and highly rewarding position - you will be a children’s entertainer, kids DJ, party games host, magician and wacky scientist all in one! •	Continuous all-year-round work – we’ve performed over 50,000+ parties! Get Paid to Have Fun on the Weekend! You will be working with 4 – 14 year olds in a fun, fast-paced environment, using cool disco decks, letting off bubble, snow and smoke machines and hosting our awesome party games in our kid’s parties! And when you’re not doing that, you could be creating amazing spells in our Magic, Disco & Games Party, raving it up in our teenage UV Glow Party or launching mini rockets in our Wacky Science Party! With 14 action-packed kids and teenage parties offered, your new job will be as varied as it is exciting! •	Love working with kids! The position is also ideal for anyone looking for a job to fit in with studying, working with children, weekend work or a well-paid part time job. If you are ready to start your exciting DNA Kids career as a Children’s Party Entertainer then we would love to hear from you!